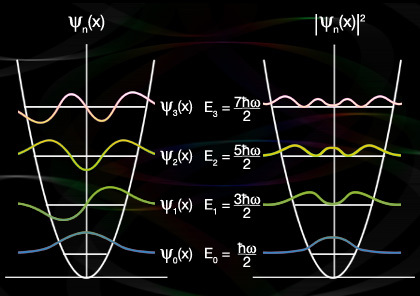 This course presents an introduction to quantum mechanics. It begins with an examination of the historical development of quantum theory, properties of particles and waves, wave mechanics and applications to simple systems — the particle in a box, the harmonic oscillator, the rigid rotor and the hydrogen atom. The lectures continue with a discussion of atomic structure and the Periodic Table. The final lectures cover applications to chemical bonding including valence bond and molecular orbital theory, molecular structure, spectroscopy. The material for 5.61 has evolved over a period of many years, and, accordingly, several faculty members have contributed to the development of the course contents. The original version of the lecture notes that are available on OCW was prepared in the early 1990's by Prof. Sylvia T. Ceyer. These were revised and transcribed to electronic form primarily by Prof. Keith A. Nelson. The current version includes additional contributions by Professors Moungi G. Bawendi, Robert W. Field, Robert G. Griffin, Robert J. Silbey and John S. Waugh, all of whom have taught the course in the recent past. McQuarrie, Donald A. Quantum Chemistry. 2nd ed. Sausalito, CA: University Science Books, 2007. ISBN: 9781891389504. Karplus, M., and R. Porter. Atoms and Molecules: An Introduction for Students of Physical Chemistry. Reading, MA: Addison Wesley, 1970. ISBN: 9780805352184. There will be three one-hour examinations during the term and a regularly scheduled final examination. An information sheet summarizing details of the examinations will be distributed prior to each examination. All of the exams will be closed-notes and closed-book. Tutorial reviews will be held prior to each exam. Problems will be assigned every week. Late problem sets are not accepted. Homework will be graded by the recitation instructor and returned in recitation. These will be held prior to each exam. The calendar below provided information on the course's lecture (L) and exam (E) sessions.